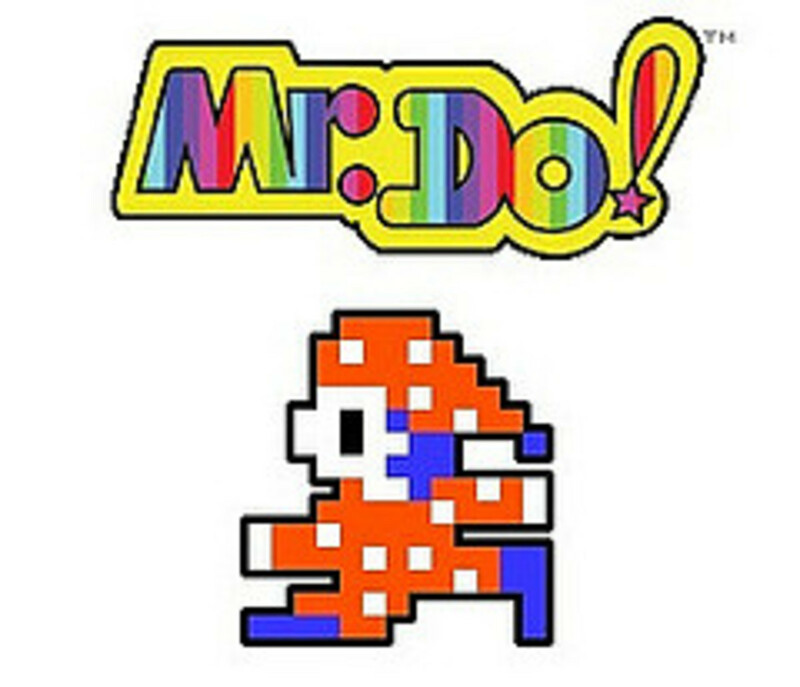 Atari had created a game that was completely novel, fun to play, humorous, addictive and challenging. Not to mention that it totally tapped into the BMX craze that was sweeping the globe at the time too. What made this game really stand out though was its' rather unusual control mechanism. Deliver To Those Subscribers PaperBoy! 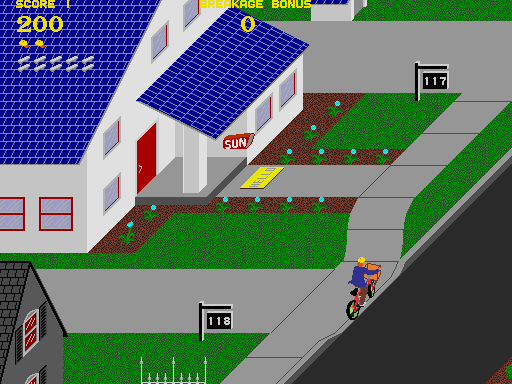 In this game the player controlled a paper-boy (riding a bicycle) delivering newspapers along a suburban street. I always assumed it was somewhere in the USA as you had to fling the papers to the mailbox or front door of a house as you rode past. The street was displayed to the player using the classic 3D isometric viewpoint that had been made famous by SEGA's Zaxxon. The players goal was to deliver a weeks worth of daily newspapers to subscribing customers, whilst at the same time damaging the homes of those who did not have a newspaper order by hurling newspapers at windows and breaking them. This would have been pretty simple if it wasn't for the hazards dotted along the street such as fire hydrants, rogue remote controlled cars, skateboarders, rolling tyres, parked cars, ghetto blasters (yes ghetto blasters!) and various animals. Collision with any of these hazards resulted in the loss of a life. Newspaper customers were also lost by either missing a delivery or by accidentally damaging their house; as you would expect home-owners did not take kindly to having their living room windows smashed! The player was given a choice of difficulty levels which were: 'Easy Street', 'Middle Road' or 'Hard Way'. Only the best player would perfectly deliver papers to subscribers for an entire week with the game lasting for seven in-game 'days', beginning on Monday and ending on Sunday. 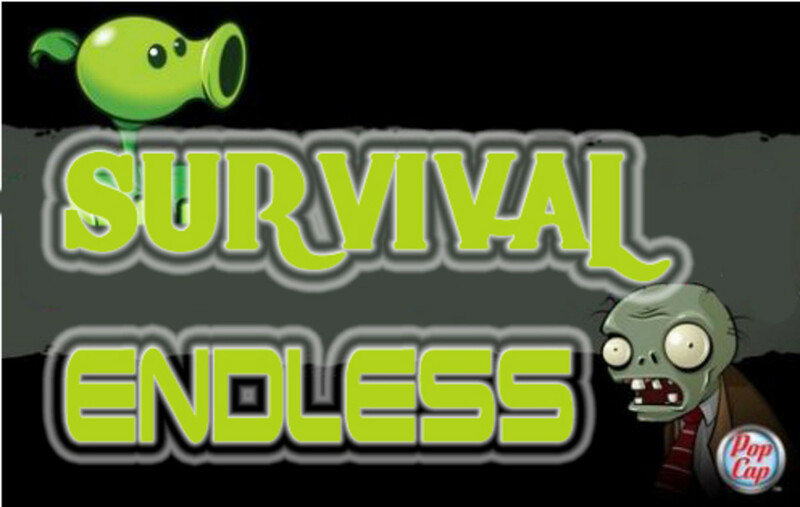 Your game characters speed could be controlled, but he had to remain in constant forward motion until the end of the level (the current day of the week) or until all lives were lost. If you did slow down to a crawl or come to a complete stop for more than a few seconds, a swarm of bees would appear and chase you! Contact with the swarm would result in the loss of a life. A mailbox delivery awarded the player 250 points. If the paper was delivered to the doorstep, then the player was awarded 100 points. Points awarded were multiplied twice for playing the 'Middle Road' skill setting, and thrice for playing the 'Hard Way' skill setting. Extra points could be gained for breaking potted-plants, running over flowers, or as previously mentioned, by throwing papers into windows of the non-customer houses. The former resulted from hitting obstacles that are integral parts of the landscape, such as fire hydrants, lampposts, walls, buildings or street signs. The latter collision type was displayed when the paper-boy struck cars, people, dogs and so on. Some of these could be hit with a newspaper for extra points - hitting those annoying pavement hogging break-dancers was well worth it, not to mention satisfying! It was also possible to 'top up your ammo' by collecting bundles of extra newspapers which were placed at various points along the route; usually in hard to reach places of course! Aside from delivering papers there was also a bonus level to play through which you reached once all of the houses on the street has been pedalled past. The training course (which resembled a BMX track which were really popular in the mid 1980s) was populated with various targets (which looked like archery boards) that could be hit with newspapers as well as ramp- jumps, water hazards and ditches. Riding successfully over a jump actually replenished the paper-boy's supply of newspapers in addition to earning points. 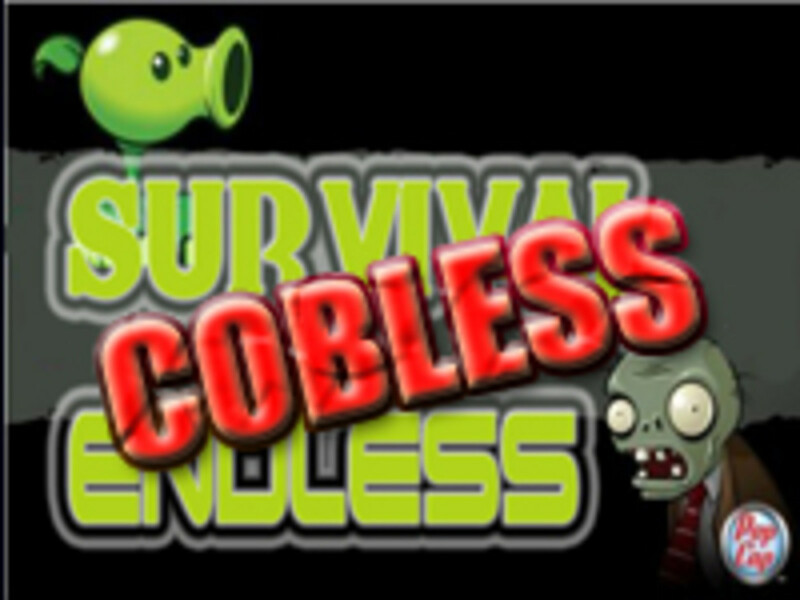 As with the rest of game the difficulty of the training course increased over the week, with new and more exotic hazards added as each day went by. Crashing on the course or running out of time ended the day (without incurring the loss of a life), so it really was a bonus stage and did not directly affect your overall progress towards 'Sunday'. 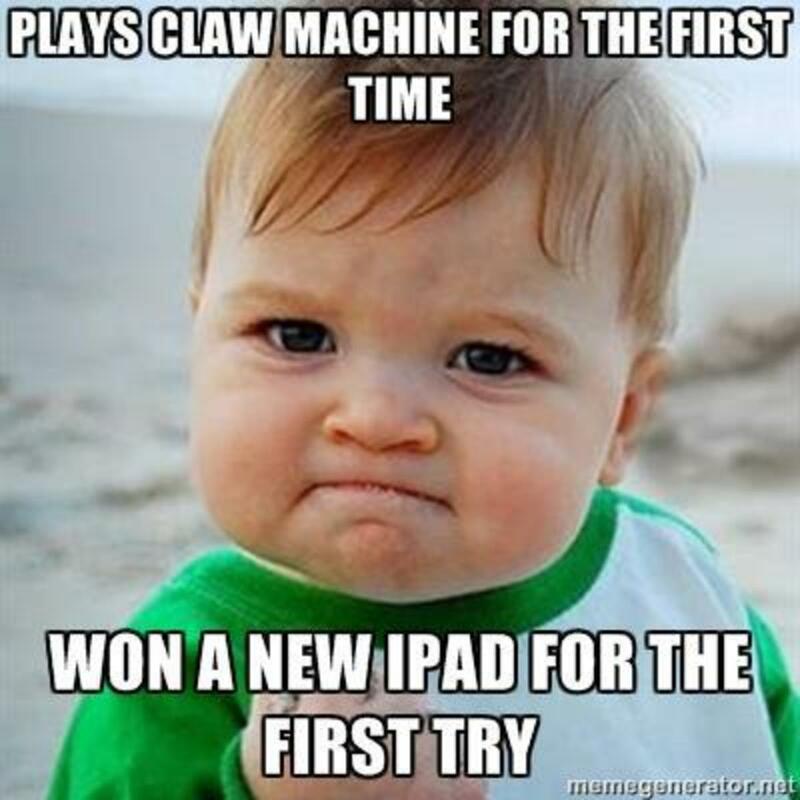 Successful completion of the training course rewarded the player with yet more bonus points for any time still remaining. Like almost any arcade cabinet of the 1980s this was a game that was converted to pretty much every home computer of the time. 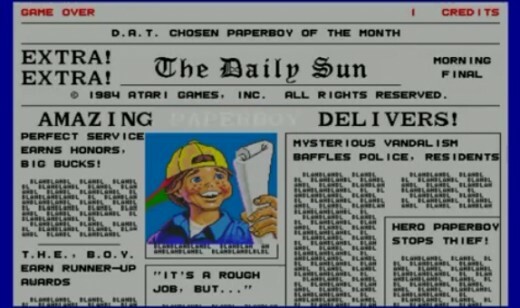 Players of Spectrum games were treated to paperboy, and fans of more powerful technology could get a nearer rendition to the original by grabbing the 16-bit version for their Amiga games collection. The developers did manage to keep most of the humour from the original with almost all of the hazards present in the home versions (the swarm of bees aside), making the home conversions of paperboy not only an addictive game but one of the years funny games too. If you owned a BBC Micro, Commodore 64, Atari ST, Atari Falcon, Amiga 1200, SEGA Master System, SEGA Megadrive etc then you could play this game in the comfort of your own home. 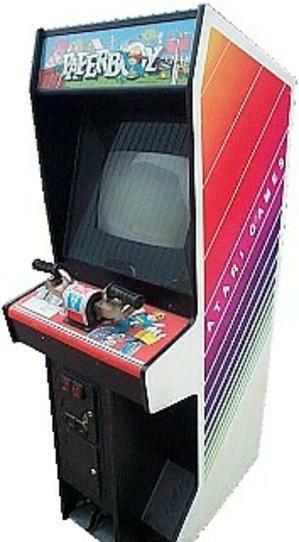 All in all this is an arcade game that for me is a classic of the 1980s. It really tapped into the BMX craze of the era and the handlebar controls made it a cabinet that stood out from the crowd. 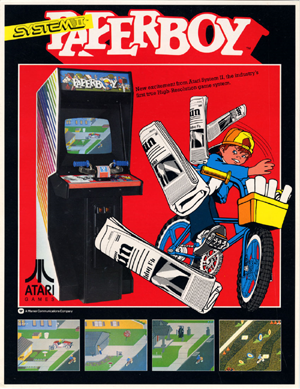 Overall the game was very simple in concept, but it was designed very well and the handlebar control method actually controlled the paper-boy as you would expect. Even the flyer for the game was cool! By today's standards this game is pretty dated, but back then it was pretty good and also something different from most other games you would find at your local amusement arcade. The follow up to the 2600 did not quite capture the magic - still good though! Remember the good old text adventure? Jupiter Cantab pulled out an Ace! Welcome to the fantasy zone! 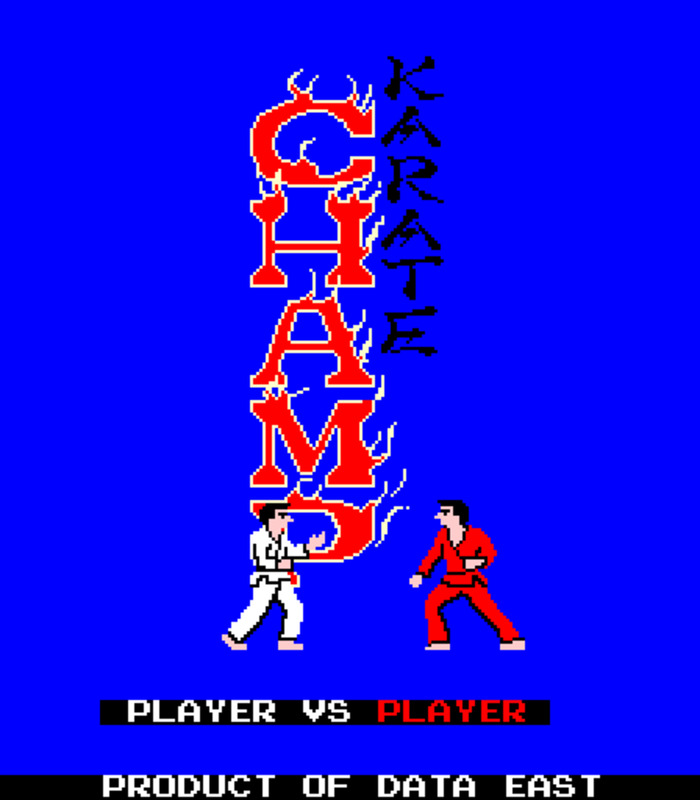 Played this on the Spectrum back in the day. Great hub as always. !